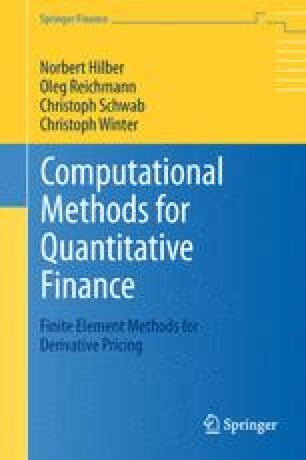 The present notes deal with topics of computational finance, with focus on the analysis and implementation of numerical schemes for pricing derivative contracts. There are two broad groups of numerical schemes for pricing: stochastic (Monte Carlo) type methods and deterministic methods based on the numerical solution of the Fokker–Planck (or Kolmogorov) partial integro-differential equations for the price process. Here, we focus on the latter class of methods and address finite difference and finite element methods for the most basic types of contracts for a number of stochastic models for the log returns of risky assets. We cover both, models with (almost surely) continuous sample paths as well as models which are based on price processes with jumps. Even though emphasis will be placed on the (partial integro)differential equation approach, some background information on the market models and on the derivation of these models will be useful particularly for readers with a background in numerical analysis.